This 2-day symposium will bring together an international audience to discuss the cutting edge of additive manufacturing (AM) technologies. 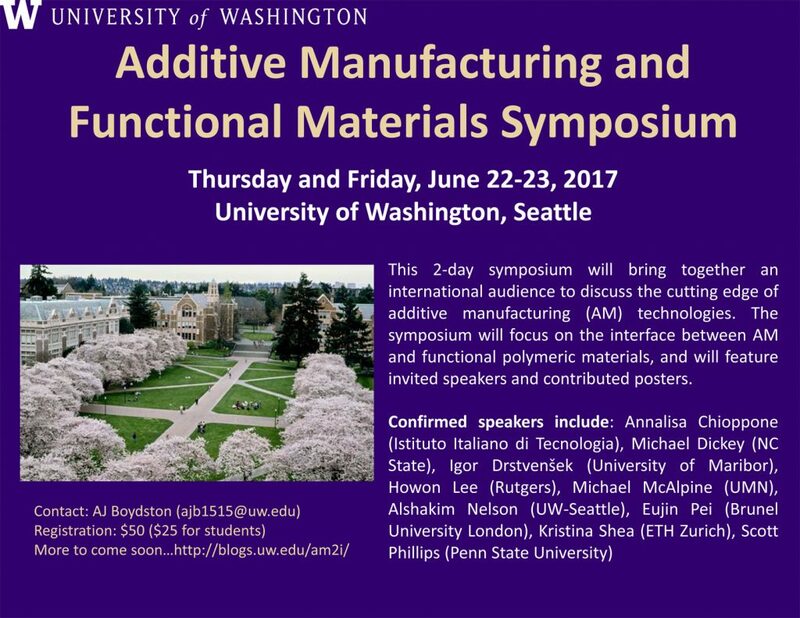 The symposium will focus on the interface between AM and functional polymeric materials, and will feature invited speakers and contributed posters. This entry was posted in Uncategorized on February 17, 2017 by ganter.